Catering to cyclists of all abilities, the event is held on fully closed roads in one of the most picturesque destinations on the planet the Great Ocean Road. 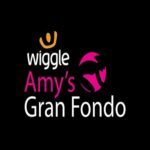 Wiggle Amys Gran Fondo is held in memory of Amy Gillett and conducted by the Amy Gillett Foundation. Participants raise much needed funds to help the Amy Gillett Foundation create a safe bike riding environment in Australia.